In her inspiring New York Times bestselling memoir, It Was Me All Along, Andie Mitchell chronicled her struggles with obesity, losing weight, and finding balance. Now, in her debut cookbook, she gives readers the dishes that helped her reach her goals and maintain her new size. In 80 recipes, she shows how she eats: mostly healthy meals that are packed with flavor, like Lemon Roasted Chicken with Moroccan Couscous and Butternut Squash Salad with Kale and Pomegranate, and then the “sometimes” foods, the indulgences such as Peanut Butter Mousse Pie with Marshmallow Whipped Cream, because life just needs dessert. 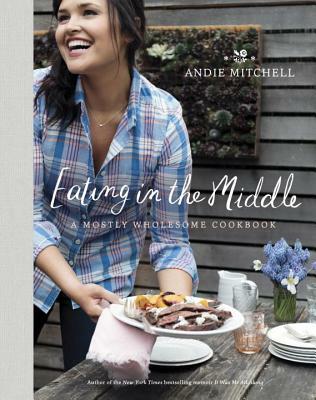 With 75 photographs and Andie’s beautiful storytelling, Eating in the Middle is the perfect cookbook for anyone looking to find freedom from cravings while still loving and enjoying every meal to the fullest.